The Grip Solid golf training aid is a thin rubber strap, which uses innovative 3D FLEX•BAR technology to solve grip pressure and position problems. Raised soft ergonomic FLEX•BAR fins on palm side contour against your club grip, working intuitively to eliminate “death grips” and help you achieve greater distance and accuracy each time you swing. 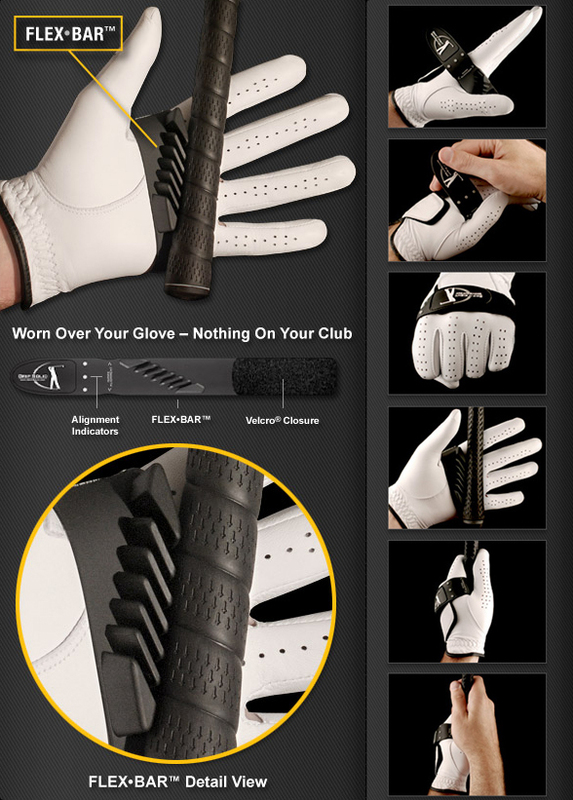 Grip Solid is the only golf training device that instantly lets you know when you’re gripping too tight! 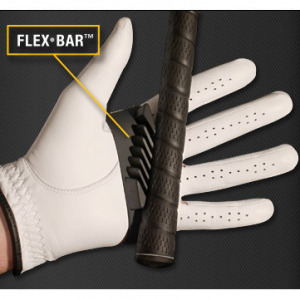 Order your Grip Solid now and start playing better golf immediately. If you have any questions regarding the Grip Solid Golf Grip Training Aid, please give us a call, we would be happy to help you with any questions you may have. Write an online review on the Grip Solid Golf Grip Training Aid, and share your thoughts with others.